If you have sustained a head injury in an accident that was caused by the negligent carelessness or recklessness of another party, whether in the workplace, on the road or in some other setting, it is important that you consider your possible right to compensation for the pain and impact of the injury. Head injuries cause real and urgent problems, with more serious injuries resulting in long-term complications, and it is important that you utilise your full legal rights to ensure full recognition for any emotional, physical and financial distress you experience. Thompsons' head injury compensation solicitors in Aberdeen can ensure that you receive authoritative and experienced representation in any claim you make for compensation. Any ancillary costs that are directly associated with the injury—for example, lost earnings, medical expenses and travel expenses. Unfortunately, because of the way that the human body is constructed, even relatively minimal injuries to the brain can have profound and lasting consequences. Inevitably, such injuries result in injured parties and those close to them having to change the way they live. This may mean adjusting to a life of greater dependency and may even necessitate costly adaptations to the home. Furthermore, it may also result in expensive medical care, treatment and rehabilitation. Fortunately, the cost of all these things can be reclaimed through the making of a compensation claim. 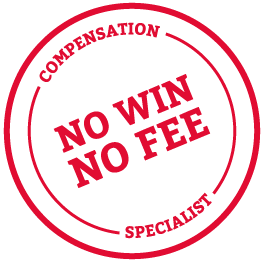 How Much Compensation is Your Claim Worth? Generally speaking there are two types of compensation you can be awarded when making a personal injury claim: general and special damages. General damages are awarded to compensate for the direct impact of the accident—for example, physical pain and suffering, lowered quality of life or difficulty finding a job. Special damages are awarded to compensate for measurable out-of-pocket expenses such as loss of income, loss of future earning capacity and short and long-term medical expenses. As a general rule, settlement sums range from £1,788 to £10,340 for minor head injuries and from £227,975 to £326,700 for the most severe. However, as these sums cover only general damages, when factoring in special damages awards can be much higher. More information about the varying severity of brain injuries can be found here. Whether you are looking to make a head injury claim for an accident at work, an accident on the road, a trip or slip, a medical or birth accident or some other type of incident, our solicitors in Aberdeen can help. Our service is holistic. This means that although our priority is helping you receive compensation, we are also determined to help you secure the best possible care, service and assistance throughout and after the claims the process. For more information, please call us on 0800 0891331 today.